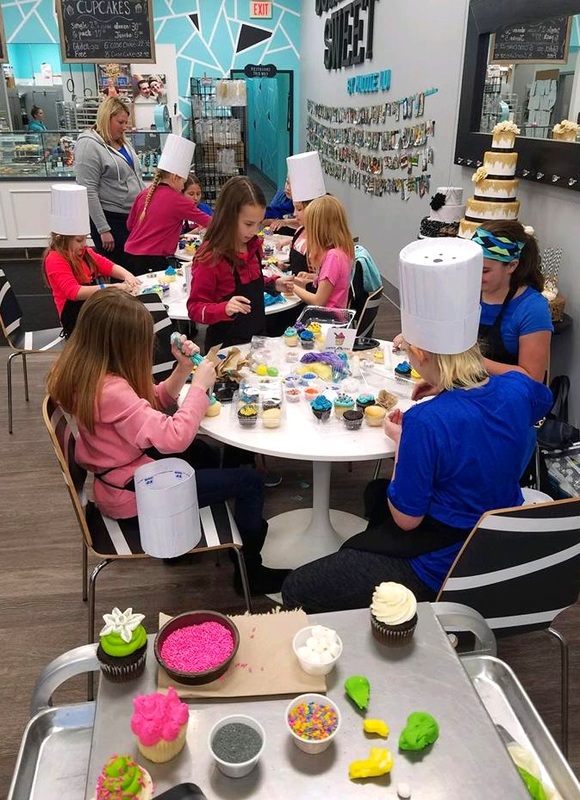 Our cupcake decorating parties are fun for kids of all ages! Each party gets a reserved space for 1.5 hours in the store (the store will remain open while the party is in session). An instructor will give a brief demonstration on a variety of decorating and frosting techniques. Each participant receives a six pack of cupcakes to decorate and a paper chef hat. Decorating supplies such as sprinkles, frosting, and fondant will be supplied. The decorating can take anywhere from 20-45 minutes. The remaining time can be used for food, cake, or presents! The cost is $28 a participant (minimum of 8 participants). An initial deposit of $28 (one participant) will be required at the time of booking.